The Francis Crick Institute is a biomedical discovery institute dedicated to understanding the fundamental biology underlying health and disease. The University of Bristol is one of the most popular and successful universities in the UK, and was ranked within the top 30 universities in the world in the QS World University rankings 2013. AWE plays a crucial role in national defence. We have been at the forefront of the UK nuclear deterrence programme for more than 60 years. Supporting the UK's Continuous At Sea Deterrence programme and national nuclear security are at the heart of what we do. The University of Liverpool is one of the UK’s leading research-intensive higher education institutions with an annual turnover of £495 million, including £126 million for research. The University of Reading is a global university with excellent reputation for teaching, research and enterprise. The Open University (OU) is the largest academic institution in the UK and a world leader in flexible distance learning. 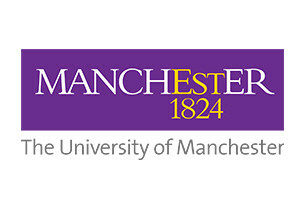 The University of Manchester is located in the city of Manchester offering over 1,000 degree programmes. King's College London is a research-led university based in the heart of London with over 27,600 students. King's is also the fourth oldest university in England. The Medical Research Council funds research across the biomedical spectrum, from fundamental lab-based science to clinical trials, and in all major disease areas. Affinity Water are the largest water-only supplier in the UK and provide on average 900 million litres of water each day to a population of more than 3.5 million people. Anglian Water supply water and water recycling services to more than six million domestic and business customers in the east of England and Hartlepool. Clinical Professionals is Europe’s leading Life Science staffing organisation. The National Laboratory Service (NLS) operates as a business unit of the Environment Agency and is based at three laboratories located in Exeter, Nottingham and Leeds. Newcastle University is a leading higher education institution in the north of England. The University of Exeter is a Russell group, global 100 and UK top 10, higher education institution in the South West of England. The University of Nottingham is a higher education institution in the East Midlands. The University of Sheffield is a leading higher education institution in the north of England. University of Strathclyde is a leading international technological University located in the heart of Glasgow, Scotland. Dwr Cymru Welsh Water is a not-for-profit water and sewerage company that supplies safe, clean drinking water to more than three million customers across most of Wales, Herefordshire, and parts of Deeside and Cheshire every day – and take it away again when it’s been used. Wessex Water are a regional water and sewerage business serving 2.7 million customers across the south west of England.